December 20, 2012. We are recruiting a new PhD student to work with the population history and patterns of genetic variation among east African populations, see “Joining the lab” and the add at Uppsala University’s main site. September 20, 2012. Our paper “Genomic variation in seven Khoe-San groups reveals adaptation and complex African history” was published in in the early online version ofScience! The paper received ample attention by scientific and popular media. CBS News, Science News, Nature, Science daily, Spiegel, AAAS, Swedish public television (SVT), Kwela (Afrikaans – television), Swedish radio (SR1, SR2), UNT, DN, Business Day, Diamond Fields Advertiser, Die Burger, Die Son, Die Volksblad, Kalahari Bulletin, Mercury, Pretoria News, Rapport, The Star, Morning Live (TV show), SABC News (TV), RSG Radio station. July 9, 2012. 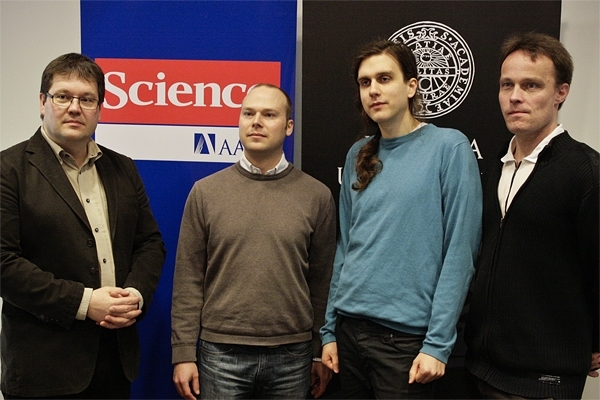 Mattias Jakobsson was awarded a European Research Council (ERC) Starting Grant. April 26, 2012. Our paper “Origins and Genetic Legacy of Neolithic Farmers and Hunter-Gatherers in Europe” was published in Science! 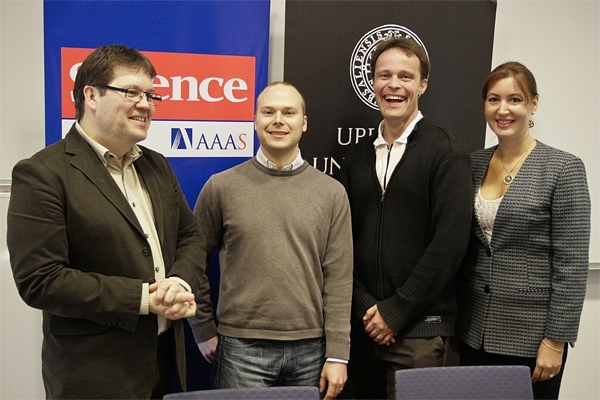 The paper was featured as an issue highlight, podcast and a news&analysis story by M Balter. 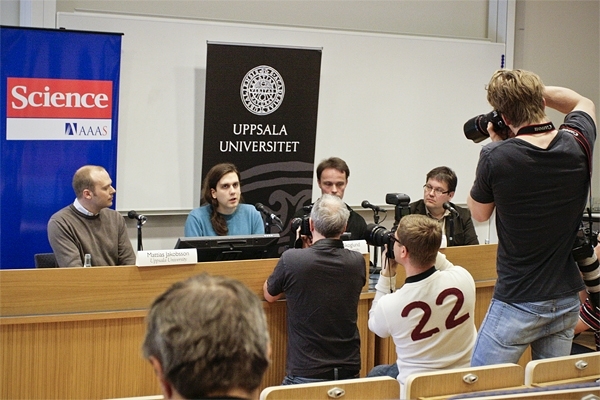 Science and Uppsala University held a press conference in the morning.